Micro apartment living has picked up in popularity as more and more people choose location over space. The number of these little developments cropping up across the Mother City and surrounds have increased steadily. 106 Adderley plays home to a host of student studio apartments, as well as a host of micro apartments for young executives. 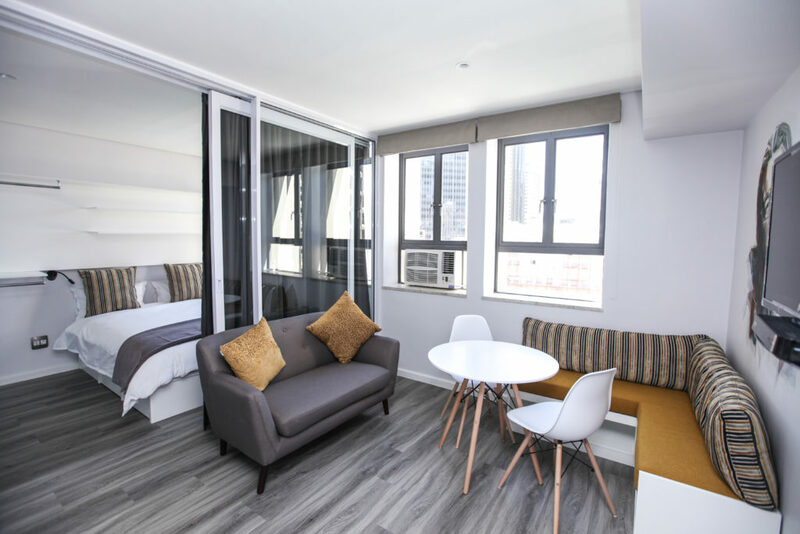 Although micro apartments are generally just slightly bigger than a single garage, the developers of 106 Adderley have executed New York-style living in Cape Town to a tee. Stepping into one of these tiny apartments is an initial shock – never in my life did I imagine that one apartment could have the space to house a bathroom, shower, bedroom kitchen, dining area and lounge in one open-planned space so efficiently. I pictured my first micro apartment experience as one that would make me feel claustrophobic, and the reality was the exact opposite. The apartment was stocked with everything needed to live comfortably, including Wi-Fi, a DsTV-enabled television, fridge and toaster. The view looks down onto the sprawling metropolis of Cape Town’s CBD, and makes you feel as though you have found your very own nook in this vast concrete jungle. The location is also central enough for you to find everything you need just a few paces from your front door. 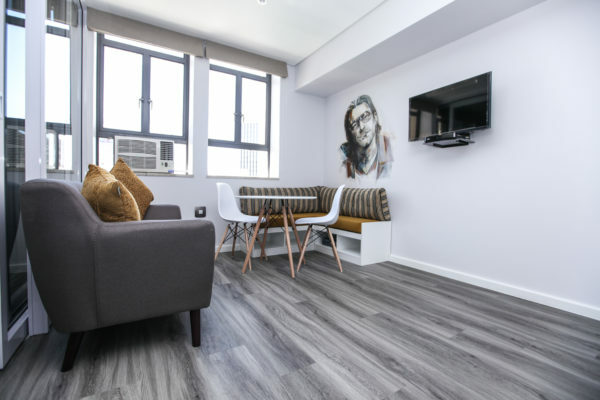 Each apartment features a work of art by local artist Brian Rolfe – each one is a mural of a past or present icon, including Dalai Llama, Leonard Cohen, Oprah Winfrey, Barack Obama and Mahatma Ghandi. 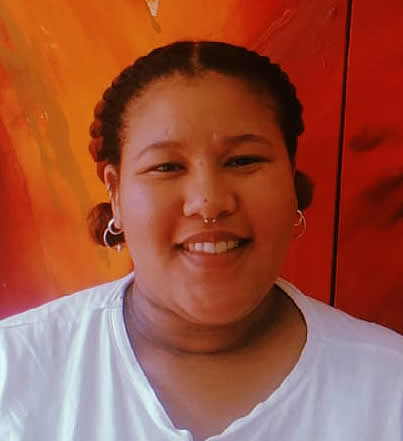 The CEO of [email protected] and [email protected], Emily Whitefield, wanted to ensure that there is accessible accommodation for young professionals in a central part of the Mother City. “Our ethos is about giving back and providing affordable accommodation for students and young adults within the city centre,” she said. 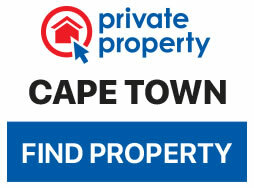 Monthly rental rates are R15 500.